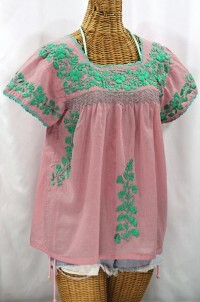 --- Please Select --- Large (fits 10-12 and some 14s) XL (fits 14-16 and some 18s) Sold Out. 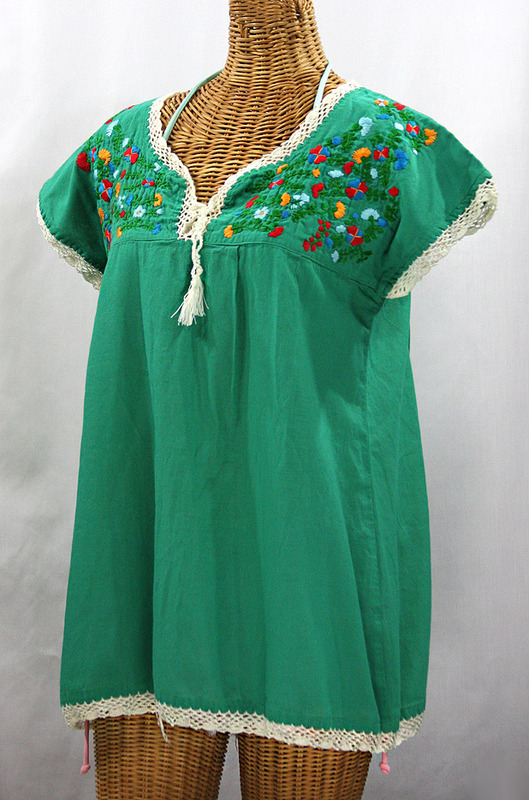 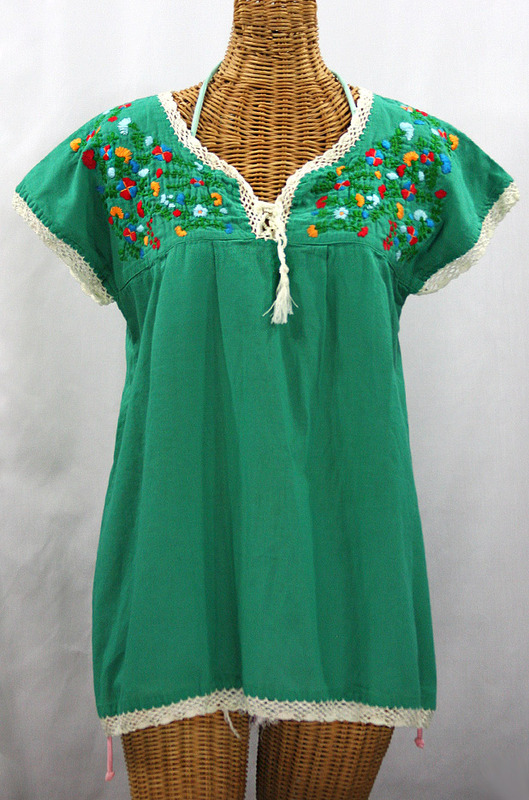 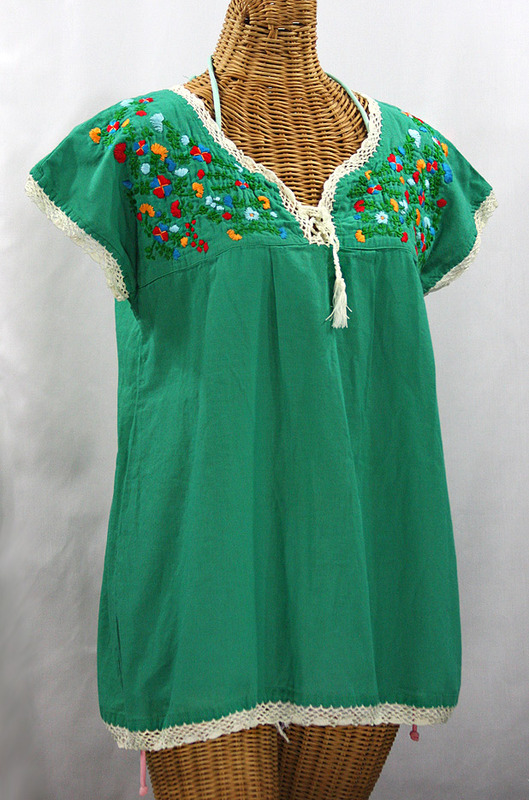 • Ornate and colorful hand embroidery with elegant crochet trim and tassel ties, available here in green with multi-color fiesta embroidery. 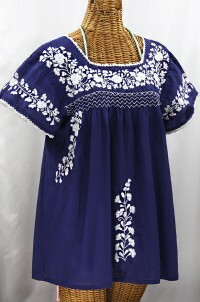 • Light, gauzy and semi-sheer 100% cotton throughout; wear it billowy and flowing in the traditional bohemian style or belt it for a more fitted look. 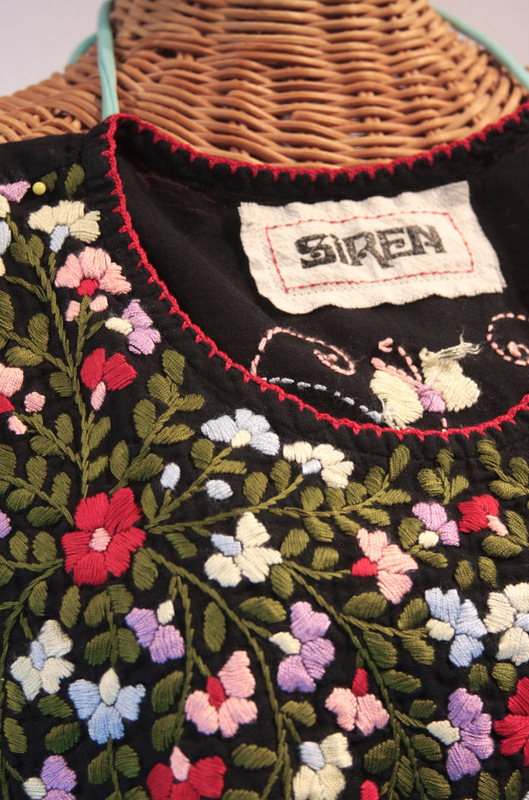 • Dyed, distressed and embroidered by hand for an authentic, retro-vintage and hippie casual vibe. 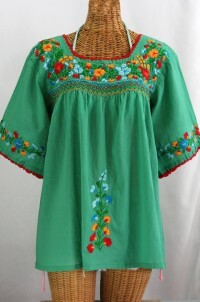 • Our ornate floral embroidery patterns are a faithful tribute to the original Mexican style peasant blouses of the 1970's. 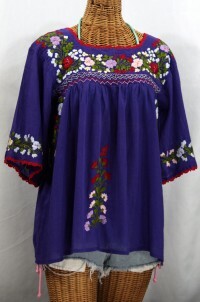 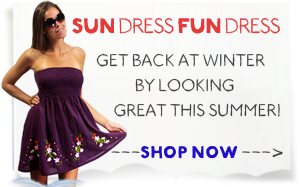 • Caringly embroidered by hand, each top is like a one-of-a-kind work of art. 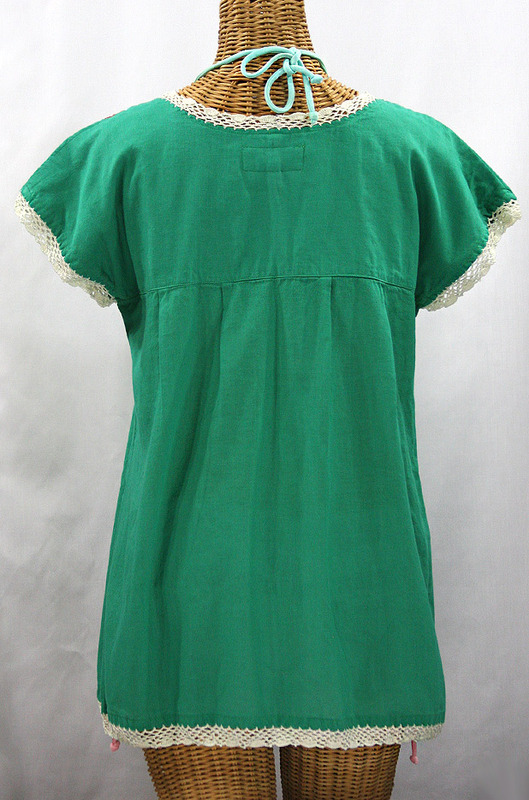 Bust (all the way around): 38"
Bottom Hem (all the way around): 52"
Length (shoulder to bottom hem): 25.5"
Sleeve Length (armpit to sleeve hem): Sleeveless!